Join us for an evening of live piano performances featuring some of our most notable Bay Area pianists: composer and electronics innovator Chris Brown, the prolific and “passionately mercurial” (Village Voice) pianist Sarah Cahill, versatile and accomplished composer-performer-scholar Luciano Chessa, and the dynamic young artist Joseph M. Colombo. We’re kicking off our second full year of exciting new music performances at the Center and are looking for your help to keep our pianos in shape. 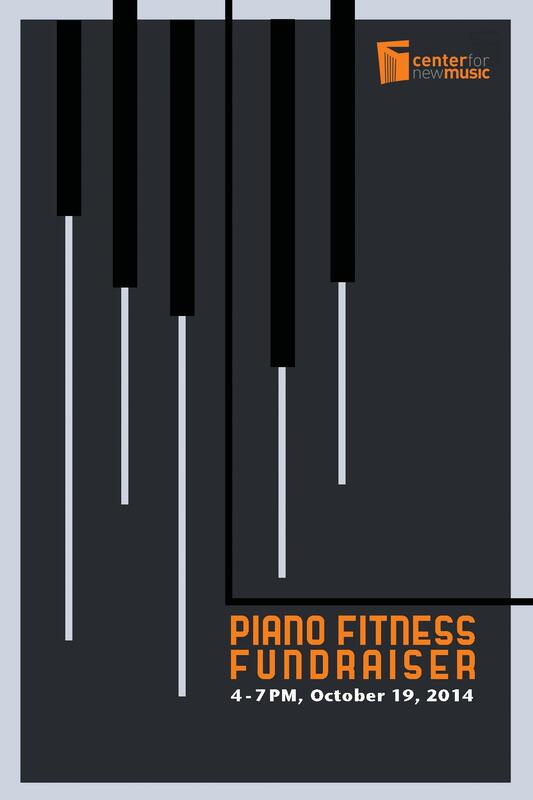 Proceeds from the event will go towards maintaining the Center’s pianos over the next year. 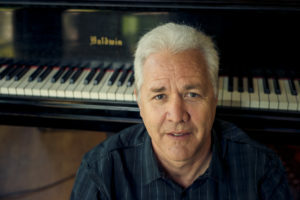 Chris Brown, composer, pianist, and electronic musician, creates music for acoustic instruments with interactive electronics, for computer networks, and for improvising ensembles. Collaboration and improvisation are consistent themes in his work, as well as the invention and performance of new electronic instruments. These range from electro-acoustic instruments (“Gazamba”, 1982), to acoustic instrument transformation systems (“Lava”, 1992), and audience interactive FM radio installations (“Transmissions”, 2004, with Guillermo Galindo). As a performer he has recorded music by Henry Cowell, Luc Ferrari, José Maceda, John Zorn, David Rosenboom, Larry Ochs, Glenn Spearman, and Wadada Leo Smith; as an improvisor he has recorded with Anthony Braxton, Pauline Oliveros, Fred Frith, Rova Saxophone Quartet, Ikue Mori, Alvin Curran, William Winant, Biggi Vinkeloe, Don Robinson, and Frank Gratkowski, among many others. Recent recordings of his music include ”ROGUE WAVE” (on Tzadik), “TALKING DRUM” (on Pogus), a duet with Fred Frith titled “CUTTER HEADS” (on Intakt), and ”SUSPENSION”, with the CBD Trio, on Rastascan. He is also a member of the pioneering computer network band “The Hub”, which has just released”BOUNDARY LAYER”a box set recording celebrating over 20 years of music on Tzadik. He is also a Professor of Music and Co-Director of the Center for Contemporary Music (CCM) at Mills College in Oakland, California. Sarah Cahill, recently called “fiercely gifted” by the New York Times and “as tenacious and committed an advocate as any composer could dream of” by the San Francisco Chronicle, has commissioned, premiered, and recorded numerous compositions for solo piano. Composers who have dedicated works to her include John Adams, Terry Riley, Frederic Rzewski, Pauline Oliveros, Annea Lockwood, and Evan Ziporyn, and she has also premiered pieces by Lou Harrison, Julia Wolfe, Ingram Marshall, Toshi Ichiyanagi, George Lewis, Leo Ornstein, and many others. Cahill has researched and recorded the music by the important early 20th-century American modernists Henry Cowell and Ruth Crawford, and has commissioned a number of new pieces in tribute to their enduring influence. She enjoys working closely with composers, musicologists, and scholars to prepare scores for performance. Recent appearances include a concert at San Quentin of the music Henry Cowell wrote while incarcerated there, Lou Harrison’s Piano Concerto with Steven Schick and the La Jolla Symphony, and Schubert’s “Trout” Quintet at the Yehudi Menuhin Chamber Music Seminar and Festival. She has performed chamber music with the Alexander String Quartet, New Century Chamber Orchestra, the Left Coast Chamber Ensemble, and many other chamber groups. Upcoming concerts include a residency at Dickinson College with Sarah’s husband, video artist John Sanborn, a recital at MIT, and an all-Berio performance with pianist Adam Tendler at the Italian Academy at Columbia University. Sarah’s most recent project, A Sweeter Music, premiered in the Cal Performances series in Berkeley in January 2009 and continued to New Sounds Live at Merkin Hall, Rothko Chapel, the North Dakota Museum of Art, Le Poisson Rouge, and venues around the country, with newly commissioned works on the theme of peace by Terry Riley, Meredith Monk, Yoko Ono, Frederic Rzewski, Phil Kline, and many others. The San Francisco Chronicle wrote that “the music, helped along by the impassioned force of Cahill’s playing, amounted to a persuasive and varied investigation of the subject,” and London’s Financial Times called it “a unique commissioning programme that unites artistic aspirations with moral philosophy.” She is working on two new commissioning projects: one explores our relationship to nature, and the other celebrates the eightieth birthday of Terry Riley in 2015. Most of Sarah’s albums are on the New Albion label. She has also recorded for the CRI, New World, Other Minds, Tzadik, Albany, Cold Blue, and Artifact labels. Her album A Sweeter Music is on the Other Minds label, and Pinna Records will release her two-CD set of Mamoru Fujieda’s Patterns of Plants. Her radio show, Revolutions Per Minute, can be heard every Sunday evening from 8 to 10 pm on KALW, 91.7 FM in San Francisco. She is on the faculty of the San Francisco Conservatory, hosts a new music series at the Exploratorium, and curates a monthly series of new music concerts at the Berkeley Art Museum. Luciano Chessa received a Ph.D. in musicology from the University of California–Davis; at the Conservatory of Bologna he earned a D.M.A. in piano and a M.A. in composition. His research focuses on twentieth-century and experimental music and can be found in Musica e Storia (Levi Foundation, Venice); he is the author of Luigi Russolo, Futurist (University of California Press), the first English monograph dedicated to the Art of Noises. Chessa is active as a composer, performer and conductor. His scores are published by RAI TRADE and Carrara and performed in Europe, the United States and Australia. Recent compositions include A Heavenly Act, an opera with video by Kalup Linzy commissioned by SFMOMA for Nicole Paiement and Ensemble Parallèle. Chessa’s Futurist expertise resulted in a commission by New York City’s Biennial PERFORMA to direct the first reconstruction of Russolo’s intonarumori orchestra and to curate/ conduct concerts which received a “Best of 2009” mention in the New York Times. In March 2011 Chessa conducted a soldout intonarumori concert for Berliner Festspiele-Maerzmusik Festival; in December, for Art Basel Miami Beach, he conducted the New World Symphony with Lee Ranaldo in the premiere of Ranaldo’s It All Begins Now! Joseph M. Colombo is a New England born, San Francisco based composer and noise maker. He has written music for orchestras, chamber ensembles, electronics, stage, film, installations, and everything in between. He has worked with a slew of individual performers and ensembles, including but not limited to the Kronos Quartet, the Orlando Philharmonic, the Mobius Trio, the Living Earth Show, Areon Flutes, Regina Schaffer, Justin Dougherty, Juventas New Musical Ensemble, and many more. His work has a vibrant energy, often exhibiting a strong rhythmic drive, and has even been called magical. He is a founding member of the Fifth Floor Collective and Prodigal Opera Productions. He holds a Masters from the San Francisco Conservatory and a Bachelors from the Boston Conservatory.